When it comes to superb quality laptops, then there’s no dearth of it in the market. However, for a group of laptop users, flexibility and convenience plays a major factor when it comes to choosing a laptop. Needless to mention, for this group, the style factor also plays a crucial role. Well, there is really no harm if a quality working machine also flaunts great looks to grab eye-balls; it makes the machine a perfect combo of style and performance. And what more can one ask for, if a very functional laptop bends it to offer you great flexibility at work? That is exactly what the HP Spectre x360 13-4007na does for you. HP has released the Spectre x360 13-4007na which is a true blue all-rounder when it comes to great quality, sturdiness, performance, looks and flexibility. 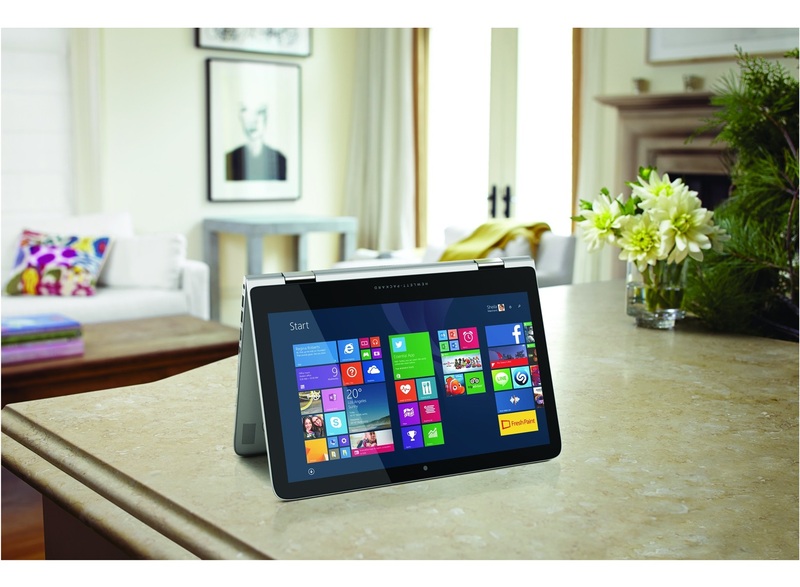 This is a stunning premium laptop; an ultra quality convertible laptop to be precise. This means that you get to enjoy the vast benefits of an extraordinarily built laptop that offers excellent sturdy and premium built quality along with debonair styling, super smooth uncompromising performance and the flexibility to turn your notebook into a tablet while adjusting its lid in any way you want for an overall grand experience. When the modern gadget buffs are concerned, asking for much more from your device is well acceptable. 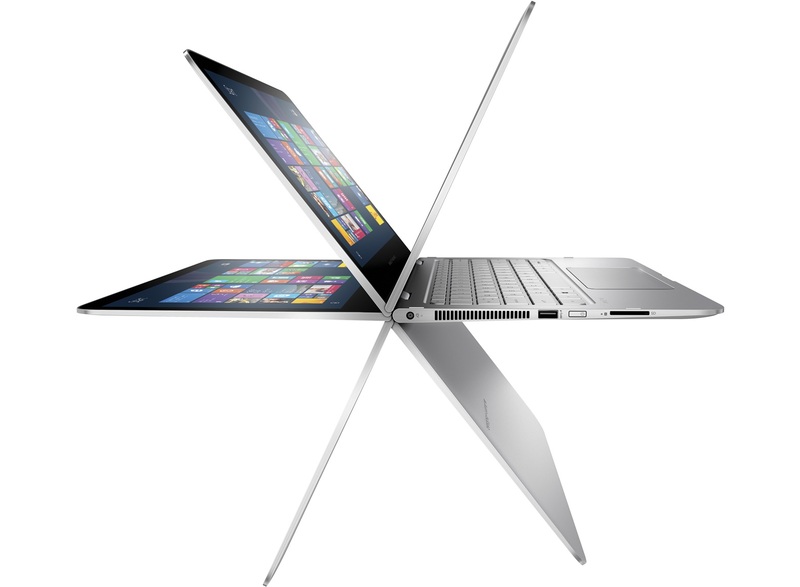 And thus, the HP Spectre x360 13-4007na convertible is constructed keeping the demanding, on the go users in mind. This superb notebook is not only highly functional, but also outstandingly flexible with elegant and classy x360 design. It is more like a yoga notebook that is meant to offer the flexibility of folding or bending the laptops display lid anyway you want to work on it as a notebook, tablet, a display stand and more. No matter how you bend this device, its performance remains unaltered to offer you perfect performance and picture perfect display quality all the time. This laptop offers you a seamless transition from a conventional notebook position to everything else with its amazingly versatile and sturdy 360° hinge that only offers great convenience, but also looks great no matter in what position it is set in owing to its graceful design. HP Spectre x360 13-4007na convertible gets a premium, sleek and classy design language. It is housed in classy silver finished slim outfit with width of just 16 mm, while weighing at just 1.5 kg. The notebook can be easily converted from its conventional regular laptop mode to the various other modes for your convenience. Its design and flexibility are simply mind blowing. The HP Spectre x360 13-4007na convertible flaunts a high quality and brilliant 13.3 inch QHD LED backlit display with a screen resolution of 2,560 x 1,440 pixels. The stunningly clear and crisp display is bound to charm anyone with its lifelike detailed display which offers ultra rich vibrant colors and immaculate image quality. The multi touch touchscreen panel is amazingly responsive and brilliantly functional to offer matchless viewing angles and comfortable workability in any position. The device’s touchscreen alone can make you fall in love with this laptop. HP Spectre x360 13-4007na convertible offers unbeatable high performance which is smooth and hindrance free. It is powered with an advanced 5th generation Intel Core i7 which is the most powerful CPU till now. The processor is clocked at the speed of 2.4 GHz and is supported by 8 GB DDR3 RAM which ensures a very smooth, lag free uncompromising performance all the time no matter what you are working on. The HP Spectre x360 13-4007na convertible laptop boasts of the most updated 64 bit Windows 8.1 Operating System to make sure that its users get to enjoy best intuitive experience on its excellent touchscreen. The HP Spectre x360 13-4007na packs in the company’s TrueVision webcam to offer crisp clear and high quality video conference. To further facilitate a superb video calling experience, the notebook also comes with dual digital microphones. The Spectre x360 13-4007na comes with a massive 512 GB SSD internal memory space which not only allows you to store vast files and folders, but also ensures ultra fast responsive performance. When music, videos and gaming are concerned, then this mesmerizing laptop apart from its great display quality also offers dual stereo speakers to offer high quality audio output to ensure satisfying multimedia experience. The HP Spectre x360 13-4007na convertible laptop draws its juice from a 3-cell Li-Po battery pack that offers a massive up to 12 hours of battery backup for unhindered all day work. 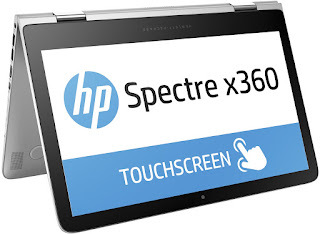 The Spectre x360 13-4007na offers the connectivity options such as digital media reader, mini DisplayPort, Bluetooth v4.0, WLAN, HDMI out, and offers 3 USB 3.0 slots. The HP Spectre x360 13-4007na convertible laptop is surely a thing to behold and fold. With its great 360° flexibility, classy design, premium metallic built quality, mesmerizing display quality and outstanding performance certainly make it an overtly alluring laptop that money can buy. However, HP Spectre x360 Price has been tagged at a premium rate of £1,099, which clearly makes it an exclusive choice for only those who can shell out this hefty amount. This looker of a device is highly portable and can be easily carried around wherever you want, while its different modes let you work on it as you wish. This ultra quality laptop with top performance and charming features is a must buy for everyone who can afford it.